Note: This is a guest post by Tom Gazaway, founder and President of LenCred, a critical partner of Lendio that specializes in unsecured business credit lines for small business owners. We’re excited to have him on the blog. More of Tom’s bio is below. When you need some money to start, build, or grow your business, you’ll want to know the differences between business loans and business lines of credit. Each serves a unique purpose that could propel your business forward. Knowing the differences will help you make the best decision about what is best for you and your company at the moment you need capital. 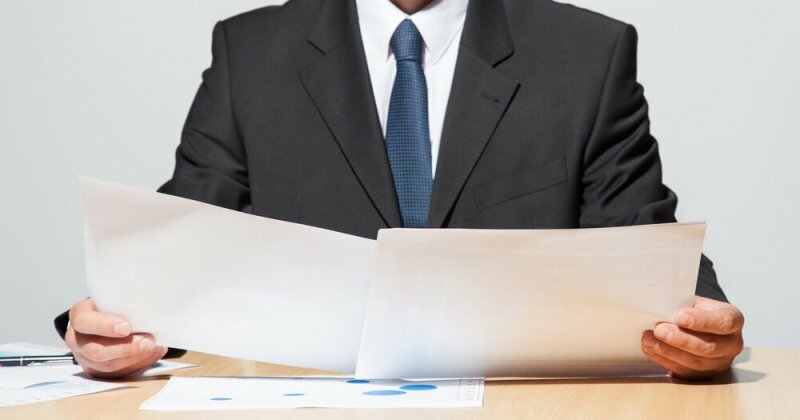 Here are 8 ways in which business loans are different from lines of credit. Are used one time whereas a business line of credit can be used multiple times. A loan is normally not something you would get until you need it because it’s normally for one specific purpose. A line of credit is something you obtain before you need it. Remember the line of credit, unlike a loan, is not for one specific purpose. With a loan you have a monthly payment that, although there are a few exceptions, doesn’t change from month to month and those monthly payments begin right away. Whether you’re using all the money or not your monthly payment does not change. With a line of credit you only make payments on the amount of money you’ve borrowed so if your balance is zero your payment is zero. There are always exceptions to every rule but most loans carry closing costs anywhere from 2-7% whereas lines of credit have very minimal or no closing costs. Cost is an obvious factor in determining loan vs line of credit. Because of this the monthly payments on loans are usually higher than the monthly payments on lines of credit. Think about it like this. If you were to get a loan for $50,000 your monthly payment will likely be $400-700/month more than it would be if you owed $50,000 on a line or lines of credit. Loans are usually best for long-term debt that gets paid off over 2 to 6 years. Lines of credit, however, are best for short-term purposes such as financing receivables, marketing, and making payroll. We acknowledge that lines of credit are great for unexpected cash-flow issues but make sure you don’t exhaust your lines of credit on surprises. Use as much of your line of credit for what we call RGA – Revenue Generating Activities. If you use some of your funds for a marketing initiative (or several of them) then you’ll likely be able to justify the new debt you’ve incurred because you’ve also generated additional revenue and grown your organization. Business loans have higher interest rates but they are normally fixed rates. Business lines of credit normally have lower interest rates but are variable. This simply means that if you manage your lines of credit poorly by making late payments or going over the credit line then — from an interest rate perspective — you would have been better off getting a loan. Whereas with a line of credit the rate can actually get better with good credit management. Loans are usually somewhat interest-rate driven, whereas lines of credit are not as rate-sensitive. With a line of credit, that is used primarily for short-term purposes, it’s more important to have a monthly payment that is “cash-flow friendly” and, even though the rates are normally quite good, it’s more important that the line can be used repeatedly and the monthly payment is as low as possible in relation to the balance. The various products, lenders, guidelines, and constantly changing standards have made the credit and lending landscape for small businesses a rather delicate, perilous, and formidable one. If any of this seems overwhelming, if you have ever needed some funding and been denied by a bank, or didn’t get all the funding you needed, then join the club. Banks are approving less than 10% of the applications they get from small business owners, so look to companies like Lendio for the expertise to solve your credit and lending needs. Tom Gazaway is the founder and President of LenCred. Tom is widely known as one of the country’s foremost expert in unsecured lending solutions for small business owners. Formed in 2001, his company specializes in unsecured business lines of credit and small business loan solutions for new and established businesses. LenCred also provides the unsecured business credit fulfillment solutions for over 175 small business loan brokers throughout the country. Tom is known as the “credit geek” for his knowledge and insightful understanding of FICO® scores and the FICO® credit scoring system. He’s a frequent guest with a variety of groups throughout the country on the topics of credit, unsecured lending solutions, business capital, debt capital solutions, and business lines of credit. 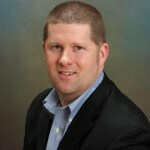 Tom also blogs for Small Business Trends, SCORE, and on his Small Business Lending Blog. You can follow him on Twitter @tomgazaway and the company @lencred and visit him on LinkedIn. Looking forward in your line of credit for starting and maintaining my business venture. A.S.A.P. will contact for a line of credit for my Trucking, Freightbrokering and Import/Export enterprise. That’s great Matheno…you are at a good place to start your search for your line(s) of credit. Thanks for reading and for your feedback. We’d love to have you back, Robert. Another thought for you, we have different lenders in our system, and we might be able to match you with one (like Hawkeye) that has better interest rates and other terms. Remember, we’re completely free as well, and we won’t damage your credit. Either way, let us know how it goes, and good luck with your business. That’s great. I hope you have luck at the bank but banks are approving less than 10% of the apps they get from small biz owners so don’t be discouraged if it doesn’t work out as planned. A lot of times, if you’re part of that lucky 10%, they don’t approve the full amount you need OR they ask for collateral when it’s not necessary. Best of luck and be sure to stop back if you don’t find what you’re looking for. Right now, I’ve been approved for a $100,000.00 unsecured line of credit. I’d rather have a Business Line of Credit, but what are the requirements for this type of credit? I’m opening a Mailbox store that is basically a Franchise without the Franchise Fee or Royalty Fees. I really didn’t want to go this way, but wasn’t offered any other way. The Mail Box Store, if you’re familiar with that Franchise didn’t give me an option and I don’t know if they even have that option. Once I get the money, is there a way of converting it over to a Business Line of Credit? Thanks for your help. Rick, that’s a good question. I’m going to go talk to our experts here to see if that’s possible. Let me get back to you. It’s a really great question. The answer partially lies in what your “options” are. The downside to the line of credit being a personal one is that it’s probably going to report to your personal credit so that can certainly be a big concern. 30% of your FICO score is determined by your utilization so as you use that line of credit you’ll be negatively impacting your FICO scores – assuming the tradeline hits your personal credit. Lendio is a great resource so lean on them if you need to and they can steer you in the right direction to get your questions answered. I have been trying to get a LOC for revenue generating for my services to expand and I also own and operate a small Boutique – Http:www.feathrdpony1.com and it has been like pulling teeth. If you know of any sources I can go to that would be great… I know my personal FICO scores are between 676-701. I have some debt that has been used for inventory and advertising/marketing for both businesses, I would like to pay off and have a better interest rate. My business is at that level now; I need to expand by adding services… So any insite you can give would be appreciated. Belinda, have you signed up for Lendio yet? It’s free and we’ll match you the best fit for a line of credit. I agree with Dan. Get matched up with some of your solutions through Lendio and don’t forget to work on your personal credit if there’s room for improvement. Changing over personal credit card balances into installment loans can be a big boost to your FICO scores! Thank you for the information. I have two small business enterprises. Both LLC’s and with no debt, several 100,000 in medical fixtures and speciality imaging equipment. Both have been in operation . from 5 to 7 years. We have operated on our cash reserves and cash flow since 2009. We can not grow, market or increase payroll as we can not back our expenditures with a reserve. I also have the opportuity to open additional clinics in a 5 times the patient base sze market. I need from $150,000 for local growth to $500,000. for the large market expansion. I have little competetion and a nich medical imaging speciality. I am not good with banks and raising capital, what would you advise? Hey, Martin. Have you signed up for Lendio yet? It’s free and would match you with lenders that would be a good fit for your situation. Sounds like your business is doing well and has some great opportunities on the horizon. I agree with Dan that it starts with getting matched with some good lenders through the Lendio platform. Good luck. would like to try and see if I can qualify for either one. Thanks. I have a small property investment company, and I would like to buy more properties in Baltimore City, Md. I will need about fifty to about seventy five thousand. Loans do help but not in the way we need. We have been in business for four years in April, 2012. Our task now is seperating Personal credit from business credit in order to be fundable. We have over 100,000.00 of equity built up in the property and are wondering if a line of credit can be based on that to take startup costs off of personal credit and put it where it can do the business credit some good. Thanks for commenting, Sharon. Would you like to talk to one of our consultants about it? And have you already signed up for Lendio to see what you might qualify for? You’ll want someone to look at your situation and understand it so go through the process with Lendio. That’s the best place to start. Thanks for your comments. Hi Dan-I am a R.E. Broker and Cert. Appraiser in the Los Angeles area. I would like a line of credit to buy distressed properties to flip and/or hold. What do you suggest? Hey, Mark. Sometimes it’s hard to get a business loan for flipping homes. You might have a better chance at a line of credit. I would sign up for Lendio (there’s a button above to do so). It’s free and will help match you with the right type of financing for you, based on your unique circumstances. Good luck, and be sure to let us know how it goes. You just need to realize that your options are very limited as a real estate investor. Then go after what you can but just expect that you’ll probably always want more funding than you can access through traditional debt/banking options. We’ve funded hundreds of real estate investors as has Lendio I’m sure but just make sure you understand the challenges are greater for you and with the right bar of expectation and the right people you’re going to get your answers. Business Line of Credit sounds better for making some excellent decision of growing or establishing business. Line of credit is quite flexible with lower interest rates and can be used for multiple choices. If I use my business line of credit, but pay it back within 10 days, does interest still get charged? That would depend on the type of loan or line of credit you have. If you have a simple interest loan, there is likely no penalty for paying it back early, but that isn’t the case for all loans. I would assume that would be the case for your line of credit, but you’ll need to check with the lender to make sure. Hello, my name is Tarik, I’m establishing my first business importing rock salt. The cost of the process will be roughly 1million and I don’t have any assets or business history. But what i will have is a contract from the buyer. Is there a way I can get a line of credit with a guaranteed contract? It might be possible to get a cashflow loan to get you up and running. The best way to start is to complete a profile on Lendio and see your matches. The fact that you have a contract in place is in your favor. hi ,i get car sales person license 9 manths ago and i do not have 50 000$ for open car dealership, which will be okay for start good business, my question is which credit will be work for this business : line of credit or small business loan and why? thanks. If you’re looking for a small business loan, and would like to see what options are there for you, click here to get started. i would like to just say I don’t believe in credit ratings/scores. I have been fussing with them over MANY items on those bureau’s list. I can prove they are not mine but trans-exper-equifax will not respond to my proof that these neg or pos claims aren’t mine. In this day and time I need a line of credit to generate and run my small remodeling business. I’m not going to pay for something that I can prove is not mine. Is there any help for me? Thanks for another great post. Where else may just anyone get that type of information in such a perfect way of writing? I have a presentation next week, and I’m on the look for such information. I am interested in an unsecured real estate line of credit or a secured line of credit at low interest rate to grow my business. Traditional lenders do not have a good understanding of my industry. I have a very good flow of income and want to purchase more real estate. You can check out your business loan options by filling out the form below or going to lendio.com. Thanks! If you fill out the form on Lendio.com, we can get a loan specialist to go through your options for you. Thanks!